Here at Stefanie Jayne’s we are proud stockists of ‘The Dessy Group’ and Jenny Packham Bridesmaid dresses. 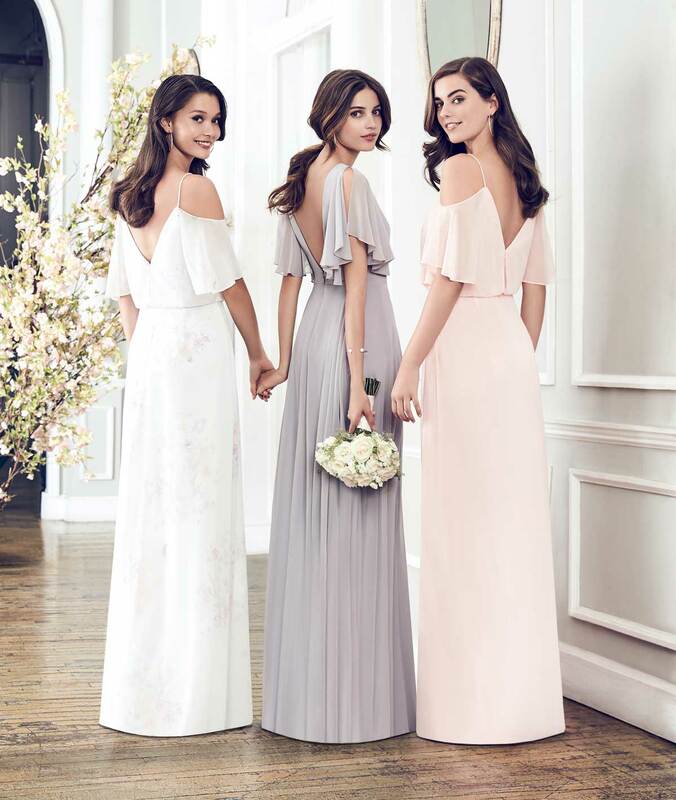 With beautiful fabrics and nearly 200 colour options to choose from, this lets you mix and match bridesmaid styles from all 3 of our collections. You can complete the wedding party with flawless colour matching for adult bridesmaid dresses, Junior dresses, flower girl dresses and menswear accessories. Our Dessy Collection offers upscale and modern options for you with each dress being designed with excellence in mind. After Six collection offers elegant and contemporary bridesmaid styles for affordable prices without sacrificing style. The Jenny Packham range is one of the UK’s most successful and independent fashion brands with global recognition with designs worn by the most iconic and influential women of our generation; Kate Winslet, Taylor Swift, Angelina Jolie, Dita von Teese and many more. Please contact us to book an appointment to view the collection. View some of the beautiful styles in the slideshow below. Be the first to hear about our latest stock, current offers and trending fashion. This information will never be shared with anyone.